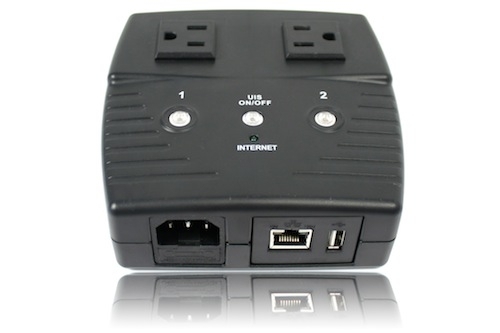 Congrats to Hal C. of Calgary, Alberta who just won a $25.00 Restaurant.com gift code for writing a review for Remote Power Switch - 2 Outlets - Home Automation and Remote Rebooting (Routers, WebCams, Servers, etc) at 3Gstore.com! Every week we randomly pick one product review from the previous week and award the writer a $25.00 gift code. We appreciate ALL the reviews our customers write, whether they are positive or negative - honest reviews like Hal C.\'s help other customers decide if the product is right for them. After you purchase a product from 3Gstore.com, we encourage you to log in and 3Gstore.com and leave a review letting people know how the product worked for you - you'll be helping others, and you'll automatically be entered to win a restaurant.com gift code!. This device works well providing you don't enable Google Talk. Every time I enable that feature, it constantly drops connections to the internet and the unit will not respond. I have tried it multiple times, enable Google Talk, system goes nuts, disable it and everything is perfect. I even tried to reload the latest firmware a few times just in case it didn't take but it still goes crazy, I also can't get email configured properly. I used SMTP.GMAIL.COM and SMTP-RELAY.GMAIL.COM and tried ports 25, 465 and 587. None of these settings work.